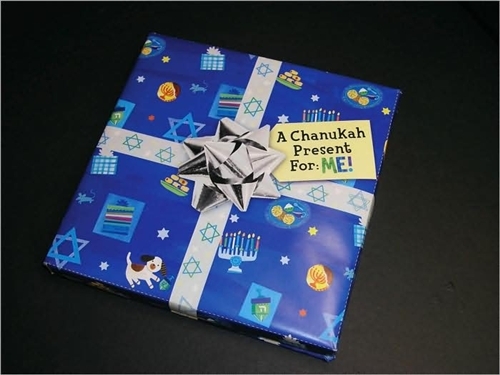 A Chanukah story wrapped with an embossed bow with glitter on the cover! A great miracle happened...and now it is time for a great celebration. A CHANUKAH PRESENT FOR: ME! is a playful holiday format that mimics a wrapped gift box. With glitter flocking and an embossed "bow," this simple story highlights the most popular Chanukah icons and traditions. From the menorah to latkes to chocolate gelt, A CHANUKAH PRESENT FOR: ME! is the gift that keeps on giving.